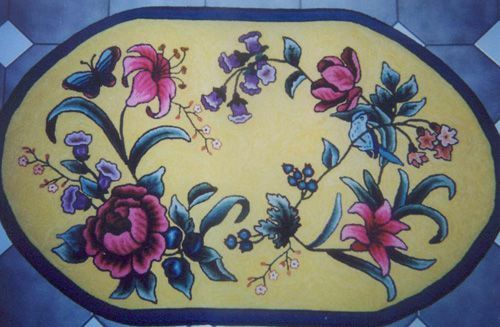 50" x 30" This pattern is printed on Rug Warp unless otherwise specificied. Hooked on a #5 cut. The motifs were outlined and then shaded with 8 value swatches. Hooked by Ingrid Hieronimus. 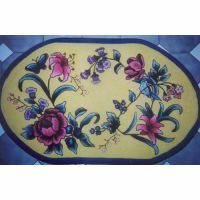 I hooked 2 of these rugs for a commission.